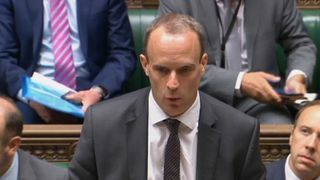 Government officials responsible for emergencies such as a flu pandemic have met to discuss a possible "no-deal" Brexit, leaked documents reveal. The disclosure was made in papers titled "Operation Yellowhammer: No-deal contingency planning", photographed in the arms of someone leaving the Cabinet Office.The Treasury briefing documents state: "The Civil Contingencies Secretariat held a two-day workshop last week to review departments' plans, assumptions, interdependencies and next steps. "The Civil Contingencies Secretariat sits within the Cabinet Office and is responsible for emergency planning in the UK.It is set up to deal with scenarios such as a flu pandemic, and previously responded in the wake of the Grenfell Tower fire. Under the sub-heading "HMT Objectives", the paper reveals it is an aim of the Treasury to build a "communications architecture" that can "help maintain confidence in the event of contingency plans being triggered".The document says this is "particularly important for financial services" and also appears to include reference to "aviation and rail access to the EU".In addition, the unwittingly disclosed papers seem to show the Treasury wants Whitehall departments to fund no-deal Brexit preparations through "internal reprioritisation" of resources, rather than extra cash.A yellowhammer is an at-risk bird, which has suffered recent population decline, found across large parts of the UK.Children's author Enid Blyton characterised its birdsong as "a little bit of bread and no cheese". 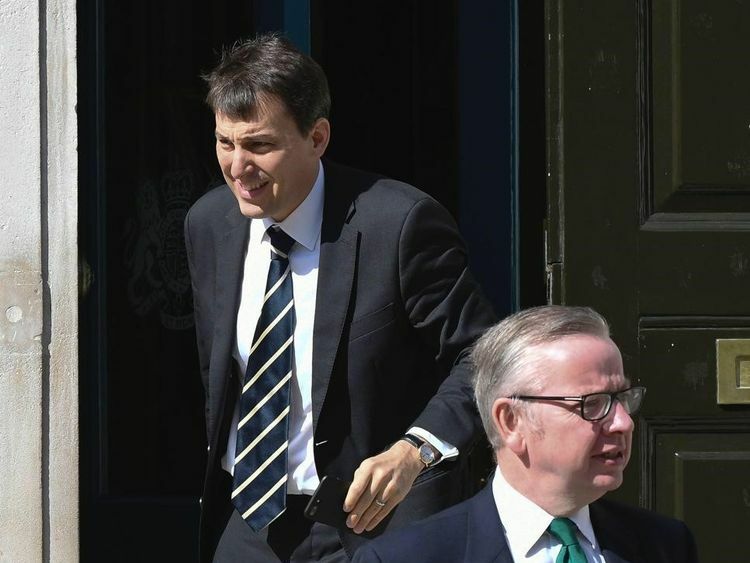 A separate image taken by the same photographer shows Treasury minister John Glen leaving a meeting in Downing Street, in which he appears to be holding a similar-looking document. The Civil Contingencies Secretariat was established in July 2001.It was formed, along with the passing of emergency planning legislation, after criticism of a previous framework's response to the fuel crisis and severe flooding in 2000, and the foot and mouth outbreak in early 2001.A Twitter account run by the Civil Contingencies Secretariat was later revealed on Thursday to have posted merely the word "yellowhammer", before the tweet was deleted.This was assumed by users to be a sign of officials searching for news about the apparent no-deal Brexit codename, following the leak.Labour MP Ben Bradshaw, a supporter of the People's Vote campaign, said: "With the Operation Yellowhammer revelation, we now know the government is preparing for Brexit in the same way they'd approach catastrophes like flooding, a disease outbreak or a terrorist attack. "This is not what anyone voted for in 2016. "He added: "We know from this leak that it will be already-stretched budgets in vital areas like health, education and defence that will be forced to bear the cost of this government's total failure to deal with the mess of Brexit. "It's time for the people of this country to take back control of this process." Last month, the government released the first tranche of no-deal Brexit "technical notices", which raised fears for shoppers, farmers, businesses, NHS patients and UK expats over the impact of Britain leaving the EU without an agreement.At last year's budget, Chancellor Philip Hammond set aside an extra €3bn for Brexit preparations.